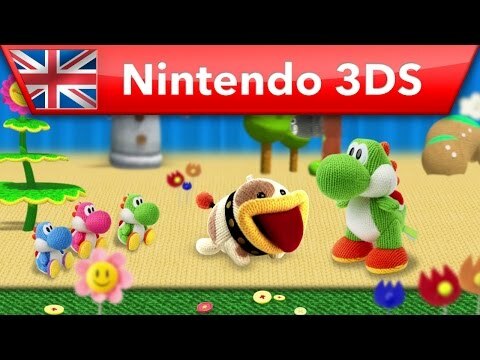 Poochy & Yoshi’s Woolly World is a dyed-in-the-wool platformer that’s bursting with colour and texture, only on Nintendo 3DS family systems. 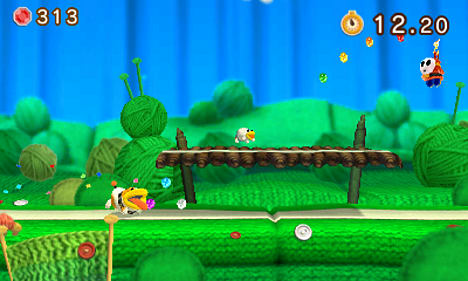 Explore a material world with Yoshi and Yoshi's adorable friend Poochy! 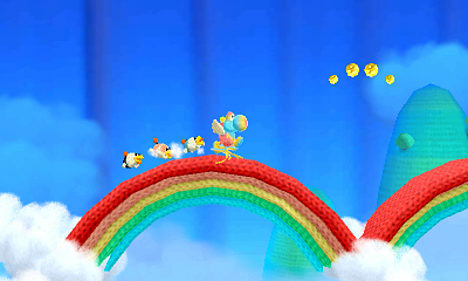 Unthread walls with a flick of Yoshi’s tongue, throw Yarn Balls to knit in new platforms and Flutter Jump to areas that seem just out of reach. Using Power Badges or tapping in the Yarn Poochy amiibo (sold separately or as part of a software bundle), you can always call Poochy into action if you need a helping paw! Trouble is looming on Craft Island! On their island paradise, located in the middle of Handmade Ocean, the Yoshi clan is enjoying yet another day of relaxation and fun…until that naughty knitwit Kamek shows up on the scene! 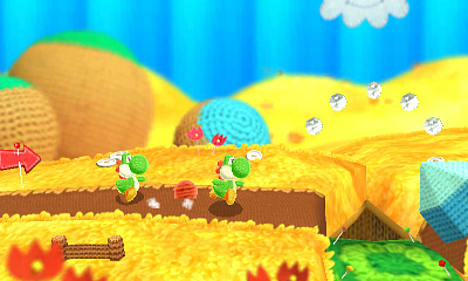 Poochy & Yoshi's Woolly World includes every level from Yoshi's Woolly World on Wii U. 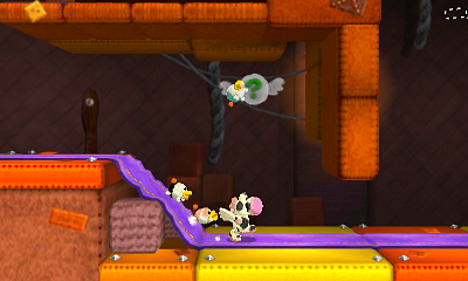 There are extra stages starring Poochy as well – time Poochy's jumps to collect as many Beads as you can and head for the goal! 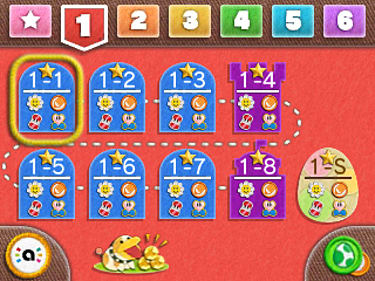 You can also design your own Yoshi patterns and use them in-game! What will your Yoshi look like? Secrets are hidden everywhere, so keep a beady eye open for anything that looks suspicious! There are all sorts of collectibles too: snap up some Smiley Flowers to unlock new courses, find Wonder Wool to get new Yoshi patterns, and more! Anybody can have fun with wool! Enjoy a traditional Yoshi experience with Classic Mode, or play without pressure in Mellow Mode. 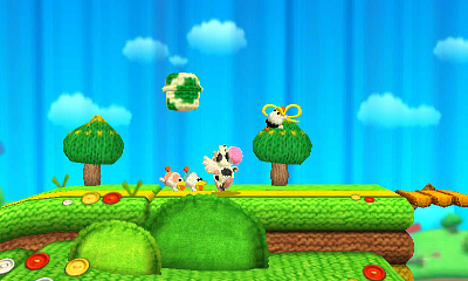 In Mellow Mode, Poochy Pups can follow you around, search out secrets and attack bad guys! 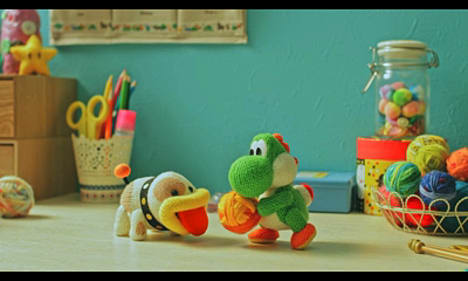 amiibo (sold separately) can be used in loads of ways in Poochy & Yoshi’s Woolly World. You can enlist Poochy's help at any time with the Yarn Poochy amiibo, play with Double Yoshi in single-player mode, save Yoshi patterns, or unlock Yoshi patterns based on other famous characters!